So, you want to be a freelance writer and you know you need a blog to do this. Now what? 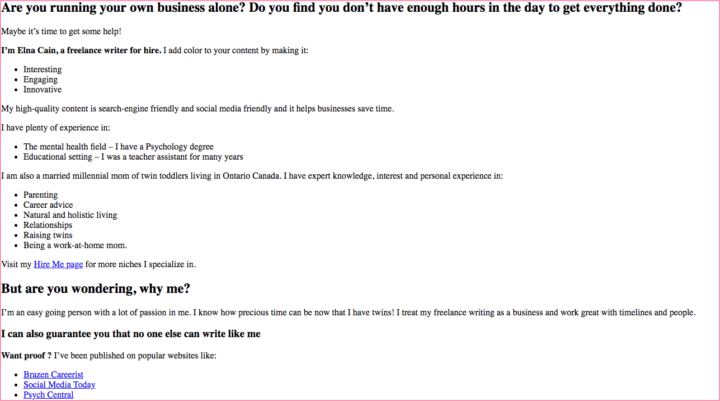 Well, you definitely need an About me page on your freelance writing site. Prospects need to know about you, right? What are you suppose to put on your About me page? Remember, a blog for your freelance writing business isn’t about you (shocking!) – it’s about the potential client. And that goes for your About page copy too. And one more thing – one of your most popular pages on your website will be your About me page! 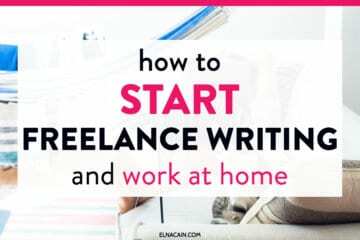 I want to share with you my journey as a freelance writer – from the very beginning to now. Looking back, I was just like you not too long ago! I did the same things as you and many times I failed. But, I don’t want that for you writers! I want to help you as much as I can! Before we get into this post, if you don’t have time to read this, check out my video on creating your About page for your business. Also make sure to subscribe to my YouTube channel for freelance writers! I was brand new to many things when I put up my first writer website. I also was new to promoting a business online! I didn’t know anything. 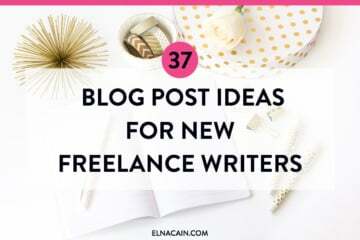 I ended up looking at other freelance writer websites to help me figure out what I needed to do for mine. Are you running your own business alone? Do you find you don’t have enough hours in the day to get everything done? Maybe it’s time to get some help! I’m Elna Cain and I have a passion for writing. I enjoy writing on a variety of topics and I take pleasure in immersing myself in learning about new and exciting areas. I have plenty of experience in the mental health field and educational setting as I have a bachelor’s in Psychology and have worked in education for many years. I am also a married millennial mom of twin toddlers with expert knowledge, interest and personal experience in parenting, career advice, natural and holistic living, relationships, raising twins and being a work-at-home mom. I am adept at meticulously researching any topic given and I work to produce original yet engaging prose for my clients. 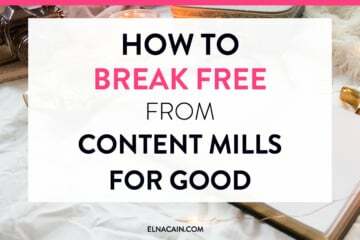 I also have plenty of experience in creating well-optimized, search-engine friendly content for clients who want to increase their online traffic and visibility. My primary writing focus is on article, blog and site content, but I am always open to other areas of writing. I also do eBook design and formatting. I use Adobe Illustrator and Adobe InDesign to create a professional and modern eBook design. When I am not writing, you can find me at the park running after my rambunctious two year old twins. I use difficult jargon in this – meticulously and prose. I would never use these words now! I don’t have credibility in what I’m saying – Having links to what you are talking about can help you become more credible in your niche. I mention too many niches and services – While it’s okay to have more than one niche, don’t have 5 or six and don’t have 4 or 5 services either! I mention that I can write about any topic – this is as big no-no. You don’t want to market yourself as a catch-all writer; you want to market yourself as the go-to writer in a certain niche topic. Did I Land Freelance Writing Jobs With This Copy? Yes, I did. But the gigs I had were varied and all over the place. Some of these gigs too too much time to write because it wasn’t in my wheelhouse of knowledge. As soon as I had samples and client posts with bylines published, I had to change my About me page copy to reflect this. 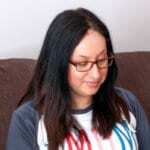 A few months later from starting my freelance writing business, I was able to share links to where I was writing on my About me page. I broke up my text with bullet lists – Many small business owners don’t have the time to sit and read long paragraphs. If you make your information easy to read, they’ll hang around longer. I have links to my writing – It’s a good idea to link to your writing in your About me page. Remember, prospects don’t have time to look ALL over your writer website. I try to convince readers to hire me – The part in my About me page where I ask, “but are you wondering, why me?” is my way of convincing prospects that I’m unique and different than other writers. The not-so-great thing about this About me page copy is that I’m still marketing myself as a jack-of-all trades writer. I haven’t niched down yet. It took me over a year to finally niche down to the digital marketing niche. So, from this point on, my About me page copy reflects that. And some things I kept from before are my headline and bullet lists. Okay, so you’re new and you need to write your About me page copy. 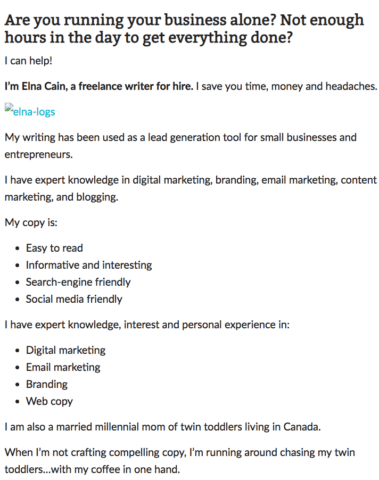 I would promote yourself as a freelance writer for hire and mention what niches you serve. I would make your copy focus on your potential client. What do they want for their writing? Exceeds what the client wanted! These are things you can weave into your About me page to make it effective! 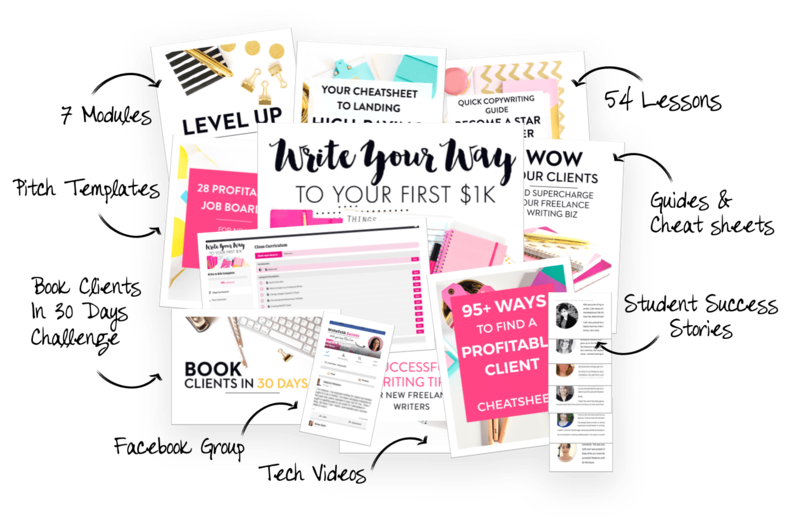 If you need more help, check out my post on other ways to write your About page to attract clients. You’re welcome! Knowing how to write an About page was a challenge for me too. I don’t like talking about myself! Good job, Elna. You did great! Hey Elna! Was just revisiting all your articles for beginners and this one came in a timely manner since I’m trying to do just that: narrow down! I think the hardest part for me is like you mentioned, not marketing myself as a jack of all trades writer, which is difficult for me since I have this fear of missing out on opportunities. But I think you’re right, narrowing down will attract more clients that match me better in the long run. Thanks for coming over! Glad you enjoyed my post about creating an About page as a writer!